Is it the right time to invest in gold? Gold prices have fallen from their peak of around Rs 30,000 per 10 grammes reached in July 2016 to around Rs 26,500 currently. In fact, gold prices had tumbled down to less than Rs 25,000 in December 2016 post demonetisation. Gold prices have fallen from their peak of around Rs 30,000 per 10 grammes reached in July 2016 to around Rs 26,500 currently. In fact, gold prices had tumbled down to less than Rs 25,000 in December 2016 post demonetisation, a fall of more than 17% from the highs in July 2016. 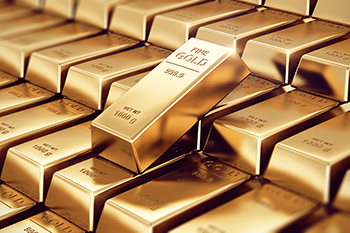 Gold prices have recovered some lost ground in the last three months,so is it the right time to go for gold now? The impact of demonetisation was severe on gold prices as the government placed several restrictions on buying gold in order to flush out black money. Now, four months after the demonetisation drive, the impact seems to be wearing off and gold prices have started moving northwards from the lows reached in December 2016. Considering that the economy will put up strong performance now that the impact of demonetisation is wearing off, there is likelihood that the gold prices will move up going forward. Also, the dollar has been gaining against the Indian rupee and since gold prices go up with fall in the value of India rupee as domestic gold prices are based on US dollars, the chances of gold prices appreciating are high. In view of these macro-economic and market factors, it is likely that gold prices in India may surge higher and may even surpass the levels reached in July 2016. Hence, it would be a good idea to invest in gold now to reap the benefits of appreciation in gold prices in future.